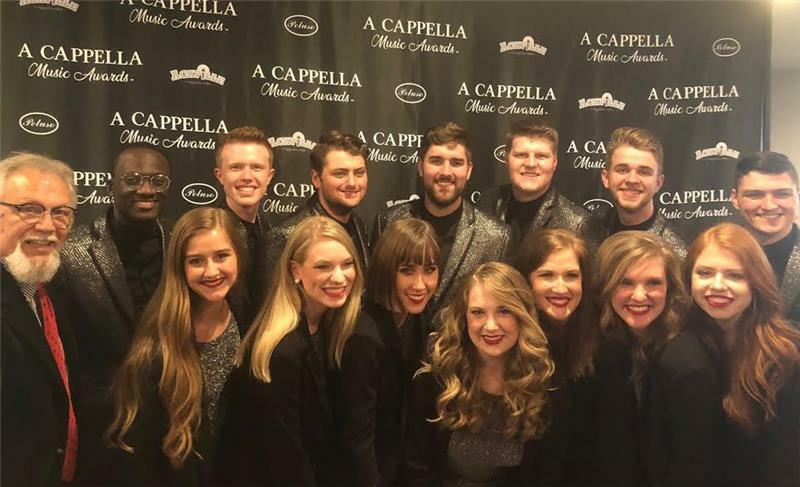 The Lee University A Cappella ensemble Voices of Lee received three awards at the 2018 A Cappella Award ceremony, held in Nashville Saturday. The evening included live performances from nominees and special guests, and a red carpet experience. 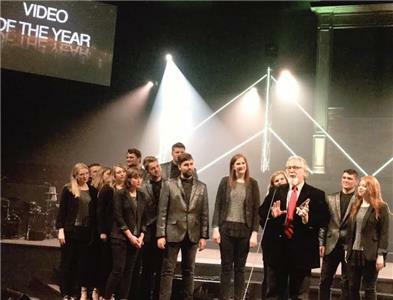 Voices of Lee was nominated earlier this spring for “Collegiate Group of the Year,” “Religious Group of the Year,” and “Video of the Year” for their music video of “What a Beautiful Name” by Hillsong, and after several weeks of international online voting, Voices won all three. There were 21 award categories, of which 19 were voted on by the public and announced at the May 19 ceremony. In total, there were 80 finalists representing 11 different countries and 46,580 votes were submitted. Voices of Lee was founded in 1994 and later propelled into the spotlight on NBC’s season one of the Sing-Off. They have performed at the Cathedral of Notre Dame in Paris, have been featured performers for Christmas at the White House, appeared on the 2016 CMA Christmas Celebration, and most recently appeared at Carnegie Hall in New York City earlier this month. For more information about A Cappella Music Awards and to view the full list of award recipients, visit https://acappellamusicawards.com/. For more information about Voices of Lee or to see their award-winning video, visit http://www.voicesoflee.com/ or follow their Facebook page https://www.facebook.com/VoicesofLeeOfficial/.